To Be Successful or Not? To Live One’s Dream or Not? These Are the Questions? Everyone has dreams. Everyone wants to be successful. Yet, few achieve what they want or hope. Have you ever wondered why that is? What is it successful people have that others don’t? If you ask people, they will tell you it’s a talent. If the person is a rock star, people will say it’s because they are a great singer. If the person is a scientist, it’s because they are smart. If they are an artist, it’s because they are creative. Underlying these statements is the belief that those who are successful have an extreme talent for something. They are the lucky ones who were born with something that’s rare. Yet, many secretly want to be that person. Every year, every child is asked by a multitude of people, “What do you want to be when you grow up?” As children grow, what they wanted to be in preschool is completely different from what they want to be in high school. Preschoolers shoot for the stars. They want to be the champion, the best at something. As children get older, they lower their expectations. Why? Somewhere along the way, they are led to believe that extreme success is preordained at birth. It’s the result of an innate talent. But is it? Is there no hope for those who are just average? Of course not, there is always hope and in fact, the odds of success are actually in their favor. Over my career, what I’ve learned is success in life doesn’t hinge upon having an extreme ability or getting the top grades. There are lots of average people who are highly successful. If talent alone were the determining factor, we wouldn’t see drop outs being billionaires. The best corporations would be headed by the alumni of the top universities, and that’s not true either. Scientific breakthroughs would be discovered only by those with the highest IQ’s, and studies have disproved this as well. So much for the theory of success and talent. To achieve, it all begins with a change in one’s mindset as to what is truly required. It starts by accepting that an extreme talent isn’t necessary. It begins by dispelling some of those concepts we learned in school, notions meant to help us learn knowledge, but don’t necessarily hold true for reaching our dreams. 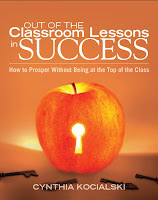 In the first chapter, Out of the Classroom Lessons in Success opens with why straight A’s are not required. Too many people equate academic success with future professional success, and this book begs to differ. Why average works for success is because it’s not one single talent that matters as much as the combination of qualities. Any one talent simply needs to be ‘good enough’. We’ve all heard that talent is a gift. Imagine you bought an item as a gift for someone. When you see them next, you thrust the gift into their hands and say, “Here, this is for you!” Now imagine a slightly different scenario, you purchased the item, wrapped it up, put a bow and ribbons on it, and presented it to the recipient in a unique manner with an eloquent speech. The later just has that WOW factor even if the actual gift is just ordinary. Package up the average and it becomes successful. Don’t package up the extraordinary and it will get a lackluster reception. The book further discusses some of those misconceptions and half-truths, which when taken for literal or face value will hinder success. It also elaborates more on the packaging needed to reach success. Every school child has heard it, “It’s not whether you win or lose. It’s how you play the game.” It works in a classroom where the focus is on learning. It keeps harmony on the playground. In the world after school, this is no longer true. Yet, many still cling to this concept. Would you engage a lawyer who lost all his cases? Would you go to a physician who patients are never cured of their ills? Would you go to an investment advisor who clients all lost their money? Of course not. You want to employ people who are winners. Success is never easy. It only appears that way in the press and media. In childhood, we learn that it’s easy to accept failure and to not achieve our goals – we played the game without the intention to win. Like it or not, winning matters. It’s not a matter of ‘effort and reward’ because reward doesn’t necessarily follow effort. The middleman is missing. It’s the effort that produces results, and it’s the results that bring the reward. Many unsuccessful miss simple points such as these. Regardless of whether it’s your dream or your child’s, whether it is lofty or down to earth, each and every child wants the same thing. No one wants their dreams to stay just dreams. They want their dream to become a reality. If there is any big secret to success, it’s that extreme talent isn’t necessarily required. If there is one big misstep, it’s that success hinges upon perfecting a specific talent, to focus and hone that one skill and neglect all others. It’s the combination of talents and skills that make people a success. Wow, that’s a huge shift in thinking, because it means it is possible for just about anyone to be successful. 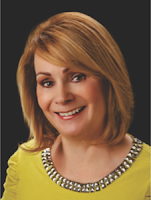 Cynthia Kocialski is the founder of three tech start-ups companies. In the past 15 years, she has been involved in dozens of start-ups. Cynthia writes the Start-up Entrepreneurs’ Blog www.cynthiakocialski.com. 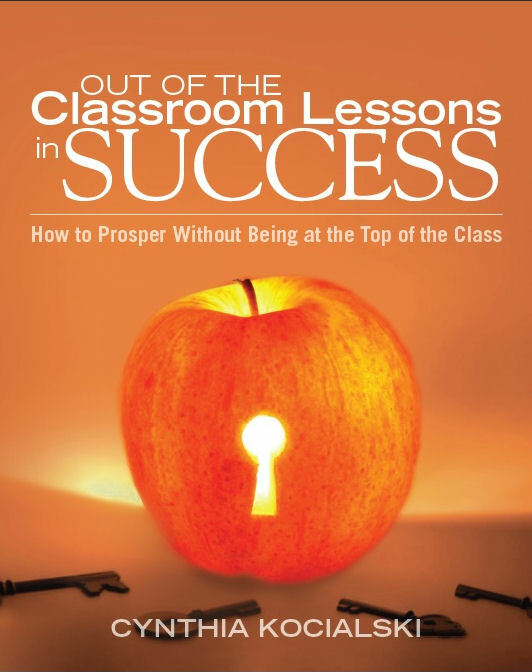 Cynthia has written the book, “Out of the Classroom Lessons in Success: How to Prosper Without Being at the Top of the Class.” The book serves up tips, insight, and wisdom to enable young adults and parents of kids to know what it will take to forge a successful career, no matter what their academic achievement. Looks like a great book for those planning their career path.